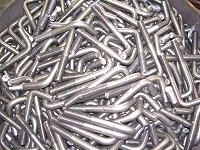 Atlanta Rod makes domestic bent bolts including bent anchor bolts, U-bolts, square bent U-bolts, J-bolts, bent tie bolts, bent check bolts, bent hook rail bolts, bent I-bolts, and custom special bent bolts. 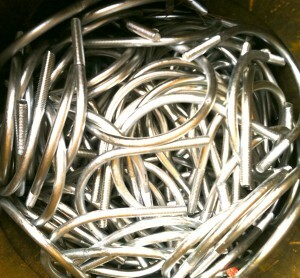 Our benders are capable of cold bending 4″ diameter steel. 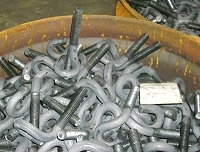 Most bent bolts can be manufactured for same or next date shipment.